Every year tens of thousands of people are injured at work. It causes pain and heartbreak to families. And it costs businesses millions of dollars each year in higher insurance premiums and direct settlements. For businesses, accidents can be catastrophic. They can ruin the reputation of an individual company, destroy staff morale and cause them to lose key staff. You might argue, however, that those are risks only in big industrial companies. Workers are at risk in construction businesses and when operating heavy machinery. But that is not the case. Even though offices seem safe, there are hazards all over the place. In the construction industry, they have what they call “The Fatal Four.” These are the four most common ways that workers die. They include falls, electrocution, caught between an object, or struck by an object. In the office, falls are unlikely to kill. But they can still injure. That’s why it can be a good idea to make sure that the flooring is grippy. Formal shoes don’t always offer the best grip. So if your dress code is formal, it might be worth investing in some grippy mats or surfaces. Modern offices are crammed full of electrical devices. There’s computers, printers, coffee machines and lots of lighting. That means that offices are an electrical nightmare waiting to happen. If you suspect an electrical fault, don’t leave it to chance. Call in the professionals. Many outfits now offer around the clock cover. Boxes and other clutter in the walkways can act as a trip hazard. Each year in the US, hundreds of office workers are seriously hurt by falls resulting from tripping in the office. And usually, this is the result of objects not being cleared from the passageways. Make sure that electrical cords don’t go across the walkway. And keep strict tabs on where boxes are stored. Most offices have some sort of archive room where they store boxes. But according to the Office of Compliance, many offer workers are injured every year from poorly stacked boxes. The Office recommends that businesses keep heavy boxes at ground level. The most common injuries in offices, however, are ergonomic. Although not as severe as the fatal four, these injuries can wreak havoc of your quality of life. A problem in the past were so-called “one size fits all” workstations. Fortunately, these are no longer as popular, but they are still a mainstay of some officers. That’s a problem because adjustability is important. 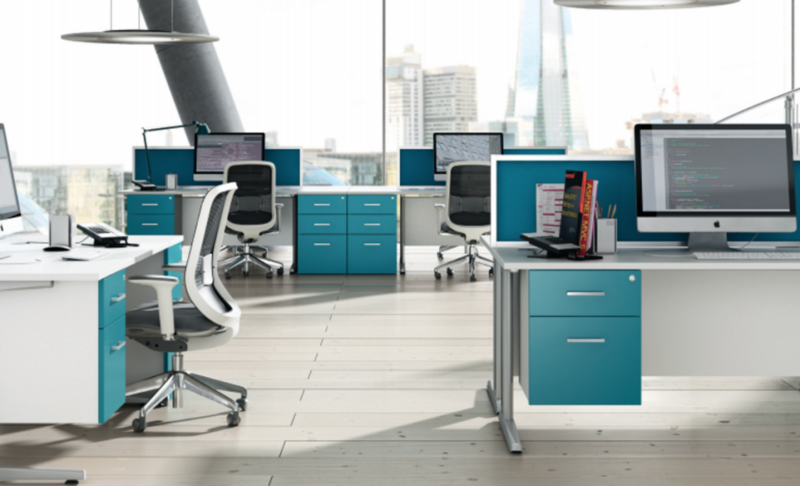 Office equipment needs to be able to accommodate a broad range of employee shapes and sizes. Though quality ergonomic equipment may be expensive, an injured employee is likely to cost more. Typically, a quality ergonomic chair will cost between $500 and $700. But the average of cost of workplaces injuries across the US is far higher when you factor in lost working time and capacity.